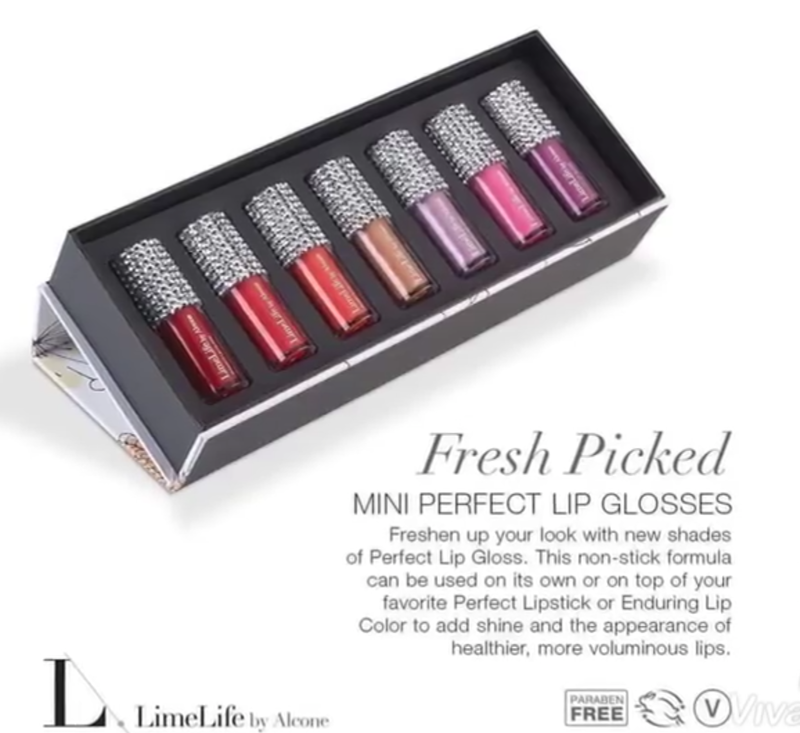 Limelife by Alcone has just launched the Fresh Picked Mini Lip Gloss Collection featuring seven new shades. To learn more about the product launch, then read this. On April 15th, Limelife by Alcone had launched their Fresh Picked Spring/Summer 2019 Collection featuring several new products such as the Fresh Picked Mini Lip Gloss Collection. 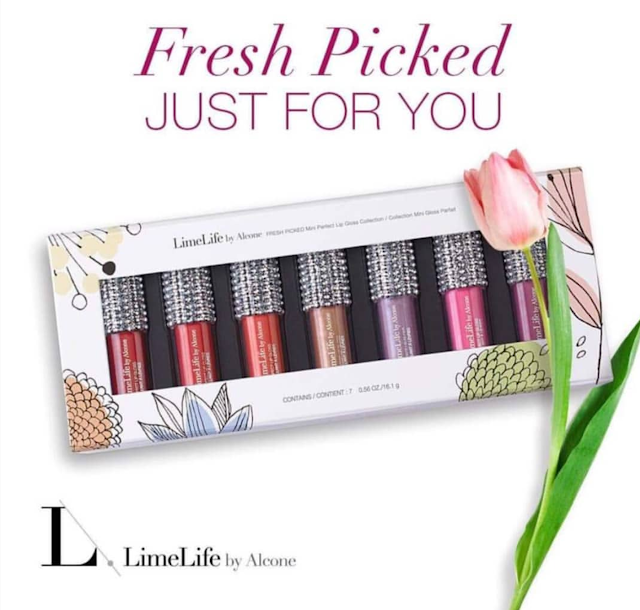 "Freshen up your look with new shades of Perfect Lip Gloss- Fresh Picked for Spring! 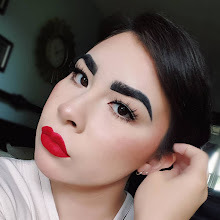 This non-stick formula can be used on its own or on top of your favorite Perfect Lipstick or Enduring Lip Color to add shine and the appearance of healthier, more voluminous lips." 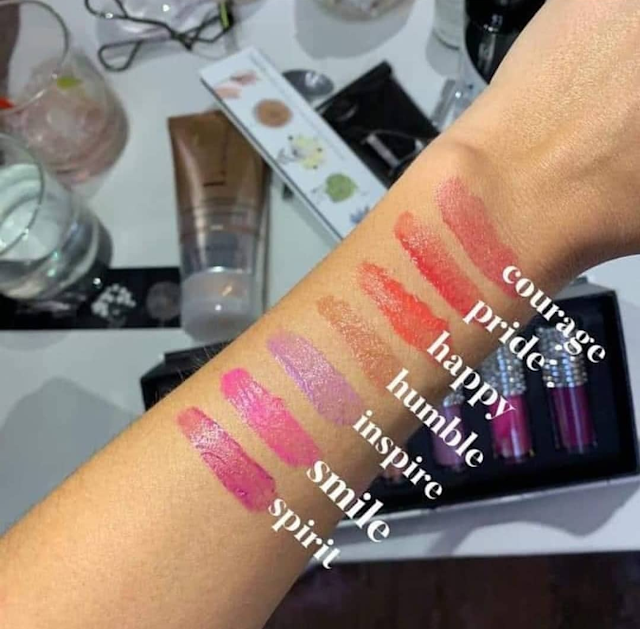 For $68.00 USD, the Fresh Picked Mini Lip Gloss Collection features seven new shades: Pride (deep red), Courage (warm red), Happy (orange), Humble (copper-gold shimmer), Inspire (lilac), Smile (magenta) and Spirit (orchid). You can also buy the full-size shades individually for $18.00 USD. Years ago, Alcone sold jeweled lip glosses similar to these as a holiday gift that sold like hot cakes. So when we were looking for packaging for our glosses, we remembered those jeweled containers and how much women loved them. Sometimes, you just need a little sparkle to remind you that life can dazzle! If you’re interested in purchasing the Fresh Pick Mini Lip Gloss Collection or any other Limelife by Alcone products, you can find a registered beauty guide by going to the Limelife by Alcone website.